Durable paper straw material, always protect you from sun's rays with this sun hatFashionable, trendy, and easy to carry Adjustable velcro and elastic band closure allows for a comfortable fit while maintaining its shape, keep you cool in the hot weather Features a roll-up function; Incredibly convenient as it is foldable for easy storage or for taking on the go while traveling Material: 100% StrawMeasurement: Adjustable Head Circumference About: 22"-23.2", Height: 2.17", Brim: 5.12"
Lady's Wide Brim Floppy Hat - Enjoy Your Fun Summer Beach Vacation Product Features: 1. 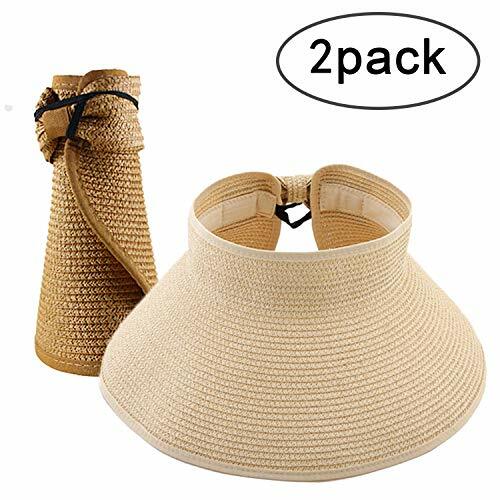 Eco-friendly Foldable Material: Made of 100% high quality skin-friendly natural papyrus, light-weight, portable and durable, the cap can well decorate your look, great choice for regular daily use and outdoor,. 2. 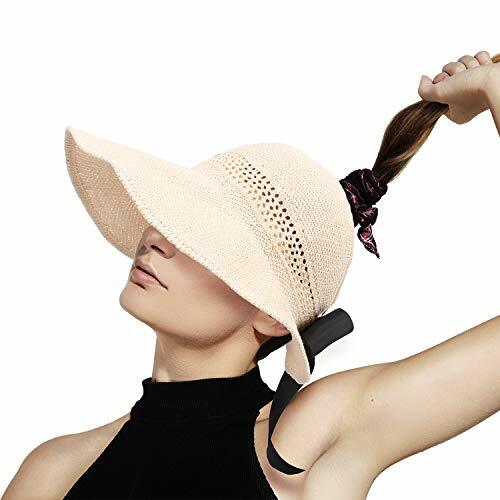 Sunscreen and Comfortable: Stylish large edge 4.3" prevent the sunlight and UV you face and neck, offers great protection from the damaging rays, breathable features makes you won't feel hot and stuffy. 3. Cleaning & Maintenance: Only allows hand washing. 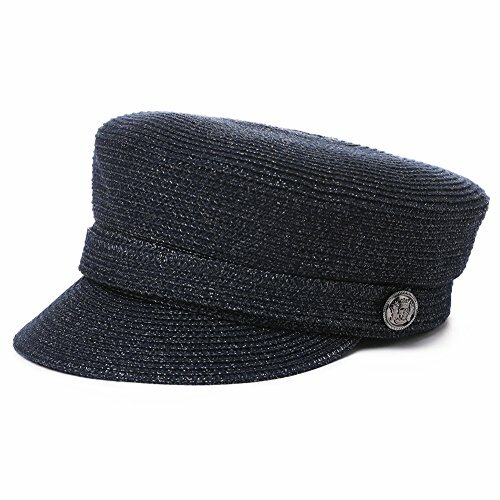 Wipe this hat with wet wipes or wash it with soap and cool water. Can be folded in any way as you like and kept the shape naturally. 4. 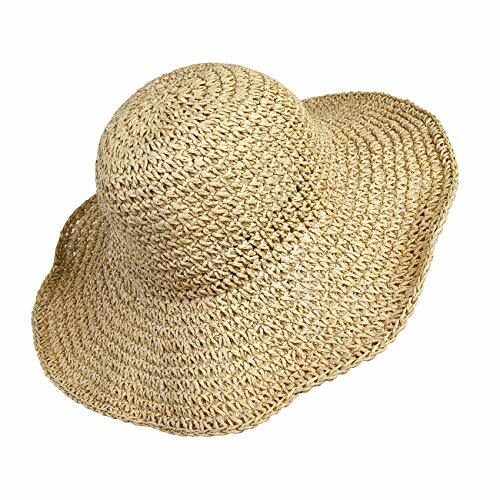 Application: Simple casual style sun hat, perfect gift for teen girls, men and women, is great to shade sunlight during beach vacation, cruise, travel, hiking, gardening and boating outside Specification: Material: 100% Paper Straw Hat Circumference: 56-58cm/ 22-22.8 inch Hat Brim: 10cm/ 4 inch Hat Depth: 16cm/ 6.3 inch Weight: 130g/ 4.6oz Color: Beige Suitable for: Women and girls Warm Tips: *Due to the different light and monitor setting. Color difference maybe exists. Thanks for your understanding. Everyone has a hat that gets thrown at the bottom of the closet because summer is over. The next spring you find it and realize that it is crushed and wrinkled and you have to spend your first day gardening in a very long line at Walmart because they decided only three registers are necessary on a Sunday afternoon. Well, the HDE Packable Roll Up Wide Brim Sun Visor solves your problem. Now you can garden in style, or go to the beach and never worry about pulling out a wrinkled hat when you're trying to unpack a week's worth of clothes for your weekend trip. 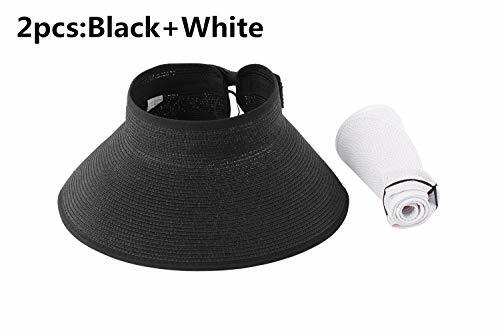 This hat simply rolls up and is secured by the adjustable velcro strap. The best part is that you can throw it on top of your suitcase and never worry about losing its shape. 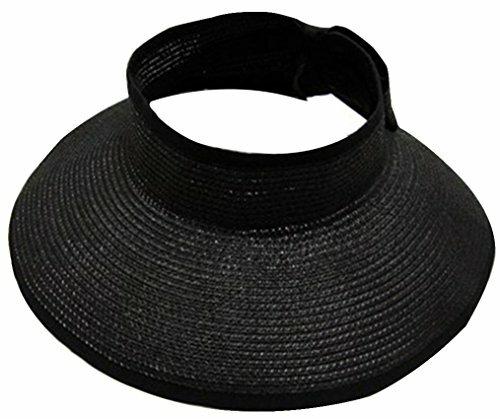 So enjoy your spring and summer without sacrificing your style with this Straw Sun Visor. Xinger is a hat factory from China, with over 10-year experience in fashion industry. We respect classic designs, and also pay close attention on trending styles and new technology. We are committed to offer our customers best shopping experience. Not just wearing a hat, but bringing you joy and helping you find out the beauty and confidence of you. 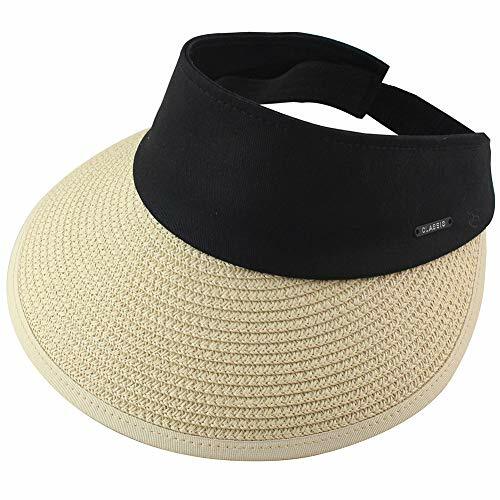 Wear a hat, be happy!Straw Sun Visor HatBasic InformationMaterial: Cotton + Straw PaperSize: One Size, for head circumference 22''-23.2''Brim Length: Around 3.6''Weight: 2.6oz (70g)Color: Khaki, Black, Beige, White, GreyHighlightsUPF50+: UV protectionWide BrimMoisture-wicking SweatbandBreathableLightweightPackable & FoldableRoll UpWashing SuggestionHand wash recommended. 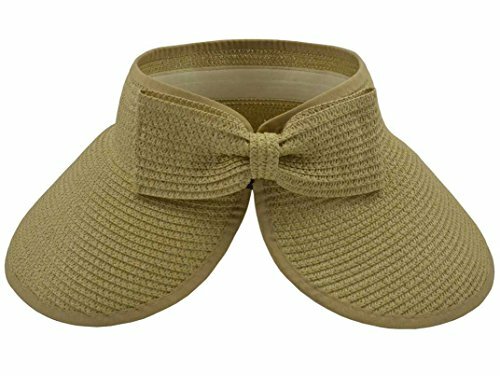 Jeff & Aimy Poly&Cotton Fiddler Style Fashion Sun Cap - Crushable & Lightweight & Breathable & Adjustable & Stylish - A Fashionable All-match Cap - classic newsboy style, go well with any casual outfits, a must-have item of every woman's wardrobe. 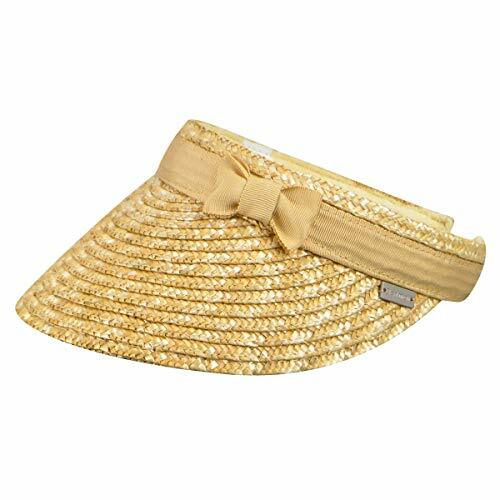 Small and lightweight, this straw visor is pitch perfect for a pleasant stroll through town during a breezy afternoon, at leisure or at play. 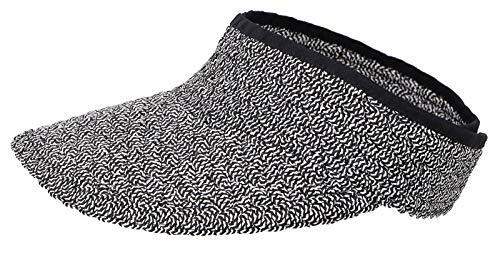 Lined with dyed-to-match terry cloth that is soft and comfortable, and trimmed with grosgrain for a sporty style. Finished with a metal Betmar logo, the dune wood hat gets back to basics in time for the warmer season. 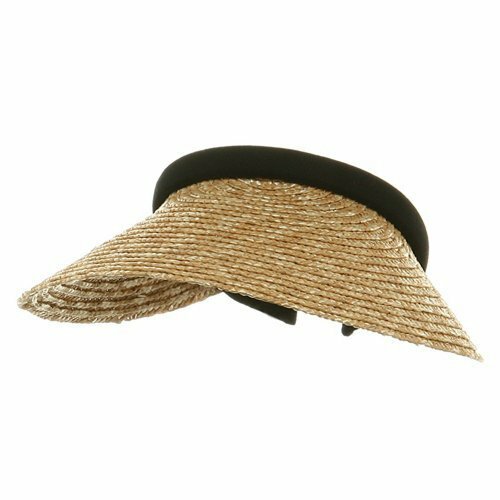 This roll-up summer straw hat has wide brim which offers extra sun and UV ray protection, a better alternative to reapplying sunscreen. 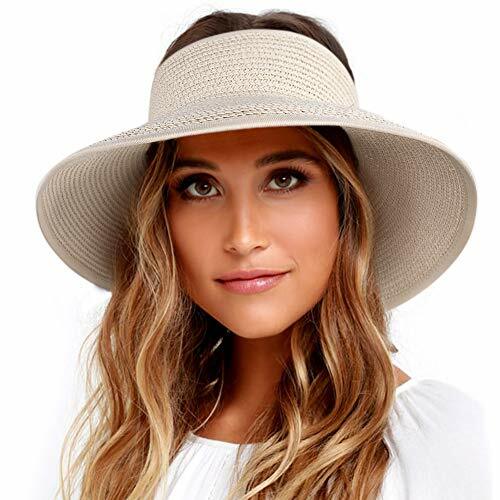 If you spent last summer folding and mashing your straw hat into shape, you definitely need to consider this smart & trendy hat. 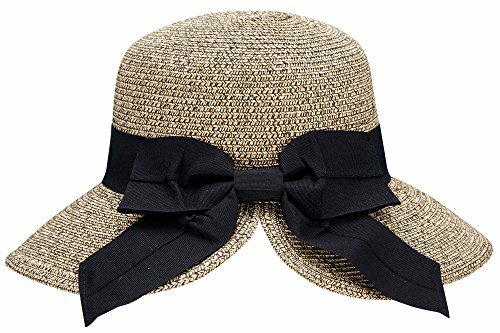 With its big, bold bow that neatly rolls up, this hat is packable for on the go travel! You never know when the sun might strike! Though, it would be reasonable to guess sometime after 9 a.m. 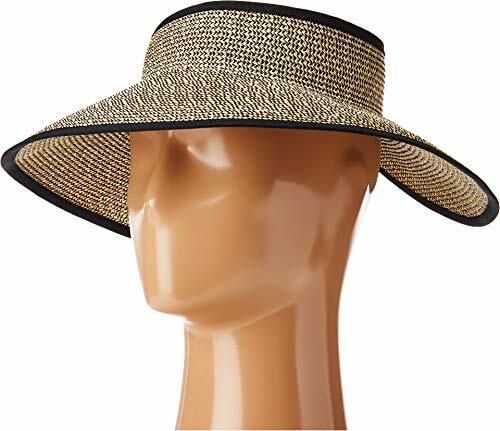 Always be prepared to protect yourself from the sun's rays with a foldable, wide-brim sun hat. 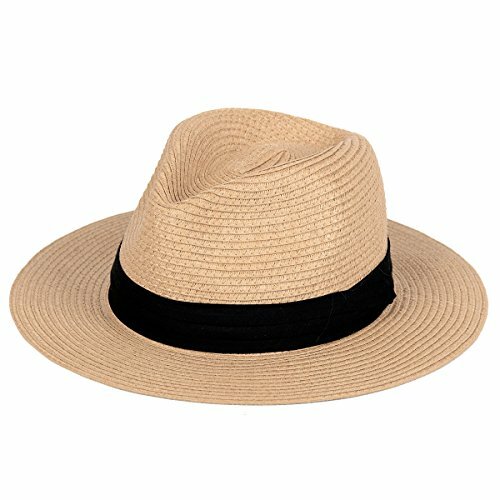 The paper straw weave allows air to flow freely and cool your head while the wide brim protects your eyes and face from the intense sunlight. 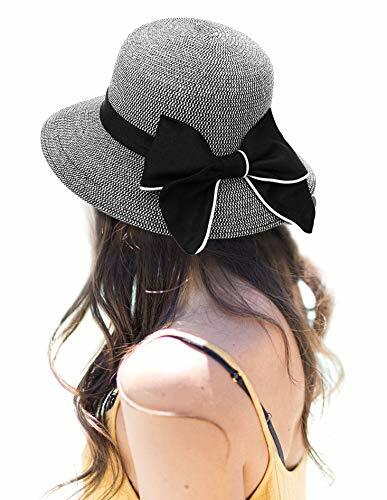 This hat is fully adjustable and easily stores in any large handbag or backpack. 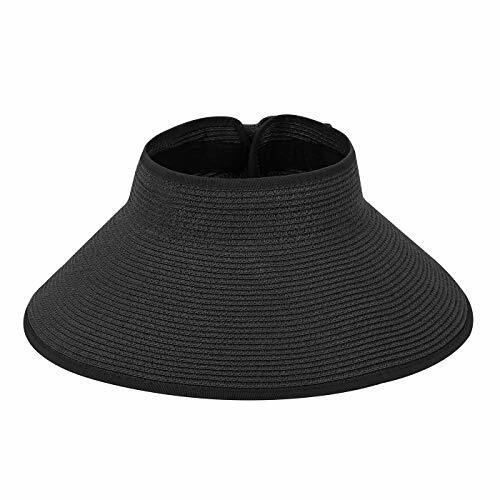 The open-top design is perfect for anyone who wears their hair up or in a ponytail. 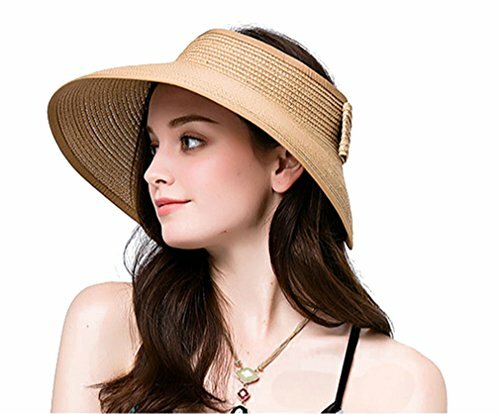 Womens Summer Foldable Wide Brim Sun Visor, Roll Up Beach Straw Hat, UV Protection, Packable & AdjustableMaterial: 100% Paper StrawSize: One size fit most.Color: Beige. Khaki. Black. 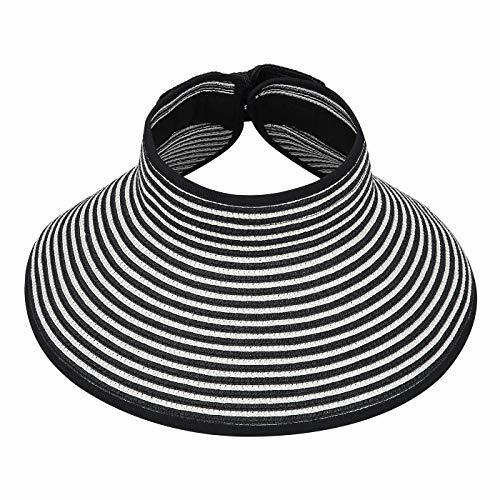 Black / White StripeFeatures:1.The comfortable straw visor hat2.The sweatband inside the hat is to keep you cool all the time.3.Adjustable size by using ribbon inside the sweatband.4.The hat can be folded in any way as you like and the shape would be kept5.This floppy straw hat has velcro back closure. 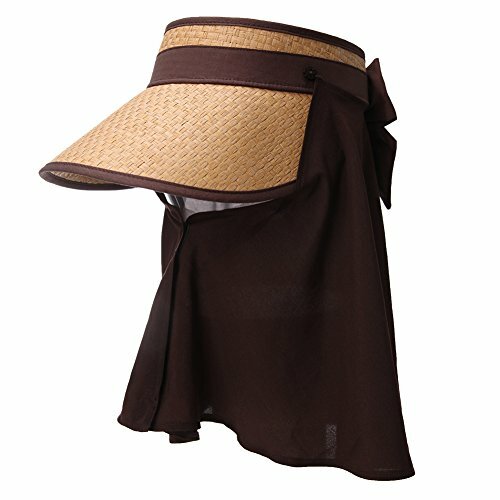 The straw hat is adjustable to fit your head size and open-top for tied-up hair.6.Applied Seasons: All seasons-Summer, Spring, Autumn, WinterOccasions: Outdoor Travel / Holiday / Beach playing / Hip-hop dancing / Outdoor Hiking Camping Cycling Fishing activities.Package Include:2 * Sun HatNotice:In case it's creased because of long time delivery, lay hat flat, use hang ironing machine to steam the brim and hat crown slightly, and let it dry in the air; Then the hat shape will be recovered soon.